The cold weather, freezing temperatures, humidity...can dry out the skin and it can also affect to our hair condition. 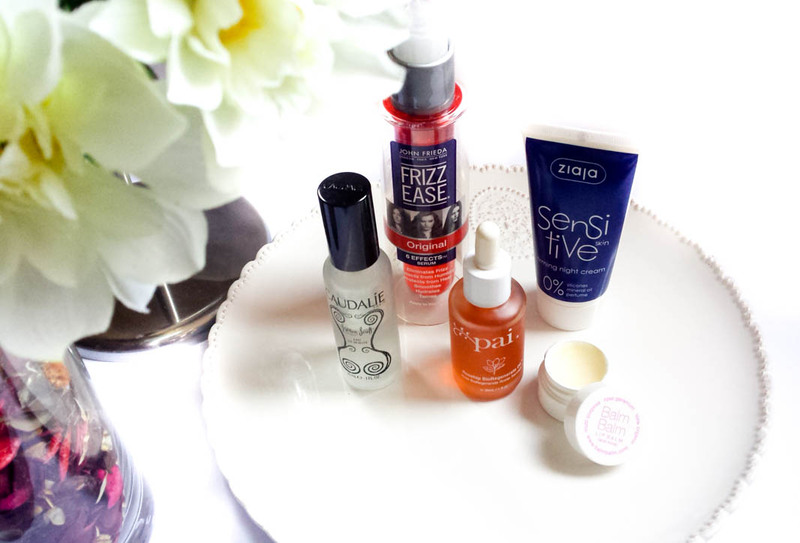 Here are five great and affordable skin & hair winter saviours. Pai Rosehip BioRegenerate is a quite dense oil but three drops is all you need, sinks in immediately and leave the skin soft. It´s great for dry patches, scars, red marks and for healing a blemish fast. It is also really moisturising perfect to boost your skin’s moisture . Caudalie Beauty Elixir is one of my skincare essentials. This mist contains essential oils and feels cooling and fresh on the skin leaving your skin hydrated. I use this as a toner, I like the way my skin feels afterwards: soft and moisturized. Ziaja Sensitive Firming Night Cream. 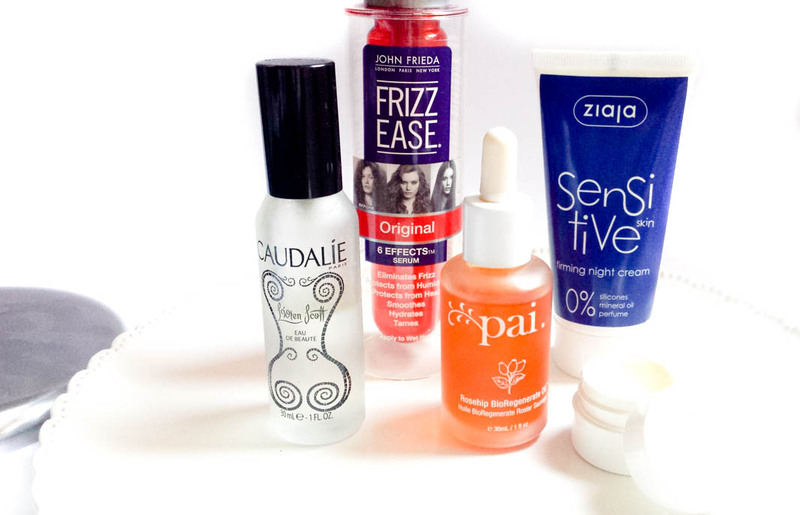 Ziaja skincare is very inexpensive and they have really good products. I've been loving this moisturiser designed for sensitive skin. This is gentle on the skin with a creamy nice consistency , spreads well and sinks quickly into the skin. It also reduces redness and dryness and prevents premature skin ageing. Balm Balm Rose Geranium Lip Balm. This is actually a multi-purpose balm something like Elisabeth Arden 8h cream (which I adore too) but 100% organic. I applied to my lips, cuticles, dry patches, eyebrows, etc. John Frieda Frizz Ease Original Hair Serum. I have had a hard time finding a product to help with the frizz in my hair. This leaves my hair smooth and silk, eliminates frizz and repels humidity. It also smells amazing. What are your favourite winter products? I would love to hear your recommendations! 2 comments on "Five Affordable Winter Saviours"
Oh! Great products! I would like to give a try to the John Frieda serum!! And as well as those PAI products!! !